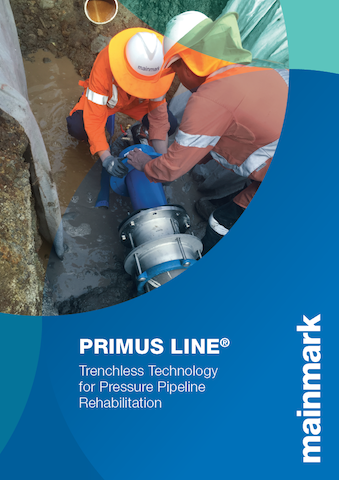 Primus Line is the modern and reliable method for rehabilitating pressure pipelines without digging trenches. The system uses a flexible, high-pressure hose and a specially-developed connection technique to restore water, gas, chemical, or oil pipelines without compromising on hydraulic pressure. Primus Line is made from a contoured internal core and an external sleeve that has a malleable steel jacket on its interior. The external sleeve is suitable for steel, plastic, cast iron, concrete, PE, stoneware, or fibreglass host pipes. A seamless Kevlar® aramid fabric sits between the inner and outer layers, which acts as a static load-bearing layer. 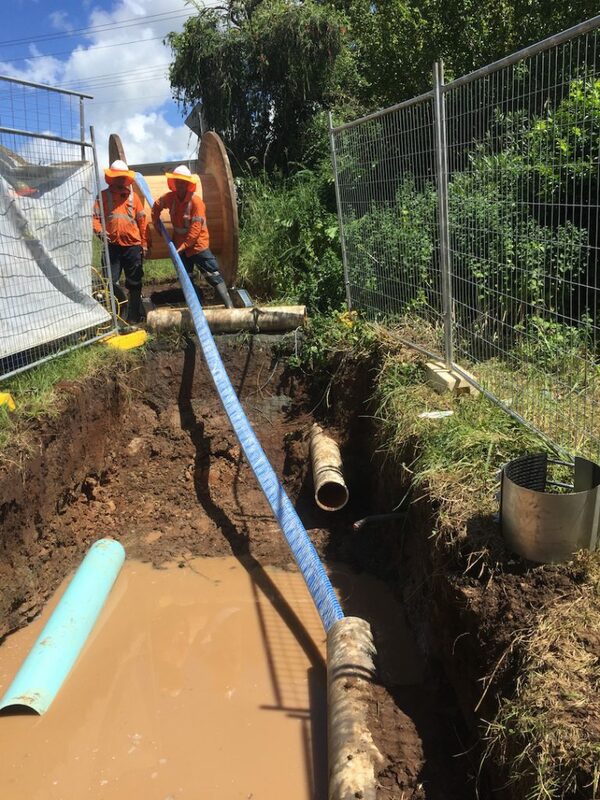 A trenchless method, the Primus Line braided hose is inserted into the host pipe from small construction pits, eliminating the need for large roadworks or earth works for simple, faster, and less disruptive repair. Short rehabilitation times and rapid recommissioning make Primus Line an exceptionally cost-effective alternative to open pipe rehabilitation and pipe relining. 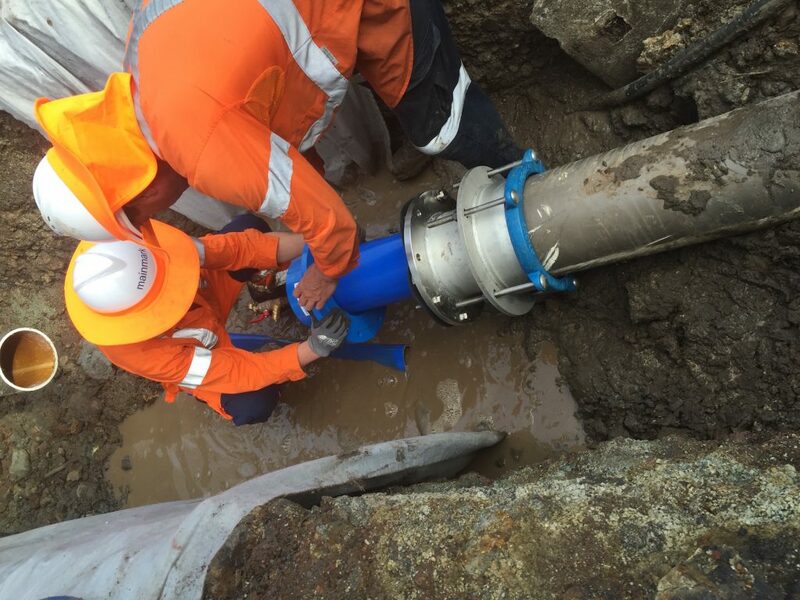 Primus Line is ideal for water pipe repair and increasing hydraulic pressure. It can also provide protection against corrosion inside pipes, or be used for bypass or emergency supply. It is the primary solution for councils, water authorities, mining operations, oil and gas companies, and other industrial applications. First, the existing pipeline is decommissioned and the site is set up. 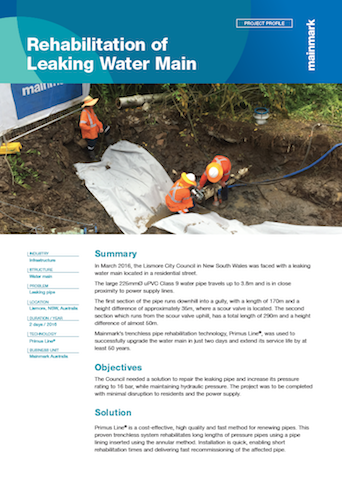 Small construction pits are erected at the start and end of the pipeline that is being rehabilitated. The existing pipeline is then emptied and cut. 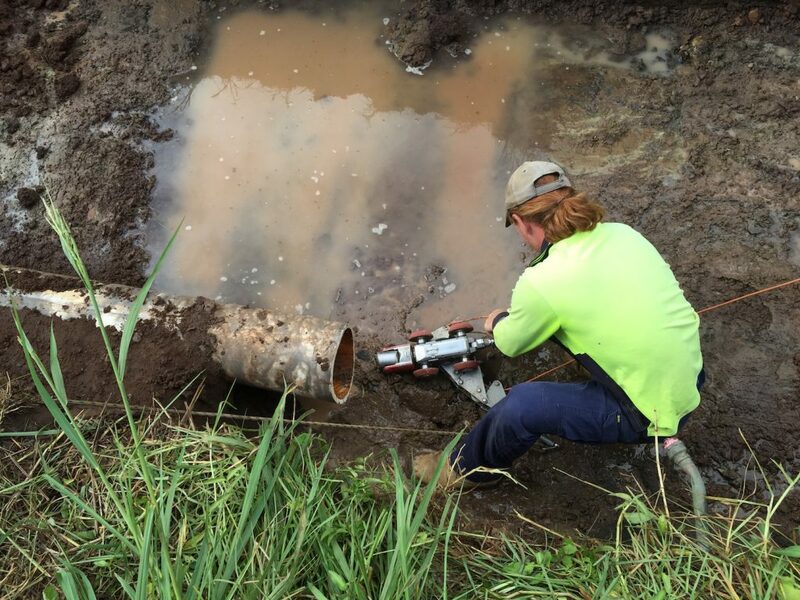 With the help of a mobile TV camera, the condition of the pipe is inspected across its entire length. A rope connection is created between the two construction pits to create a system that feeds the Primus Line hose through the existing pipeline. At one end, a pulling head attaches to Primus Line, which is fed from a transport drum carrying the coiled and folded hose. This is connected to a feeder cable which guides Primus Line into the construction pit using deflection rollers. From there, Primus Line is fed into the existing pipeline. An annulus sits between Primus Line and the host pipe to ensure the high-pressure hydraulic hose is self-supported as it is inserted. Once in place, the rope connections are removed from the Primus Line hose. Primus Line is then connected to the host pipe using a unique, high-pressure connector. Compressed air is applied to Primus Line and a resin is injected through a valve on the external sleeve. The pressure forces the steel sleeve and Primus Line into the contours of the connector core for a durable, pull-proof connection. A leak test is performed to ensure the pressure-resistant seal is complete. 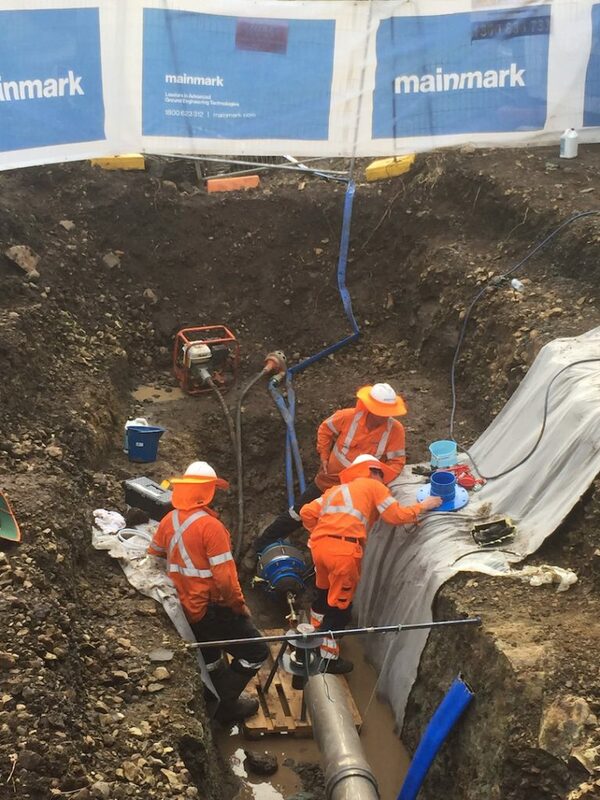 Finally, a fitting piece is inserted before reconnecting the renovated pipeline to the network. Depending on the project requirements, the Primus Line hose can be fitted with either a flange or welded ends. This makes it possible to connect bends, T-joints, or other fittings and fixtures, regardless of the materials from which they are made.